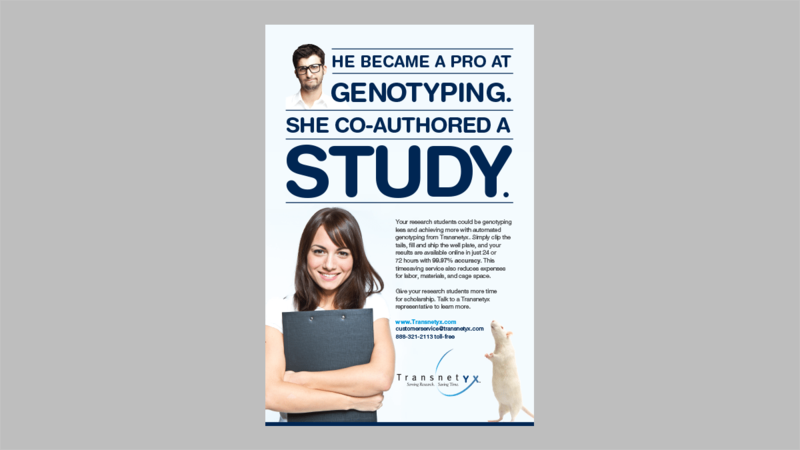 Transnetyx knows that researchers went into their field for new discoveries…not data collection. 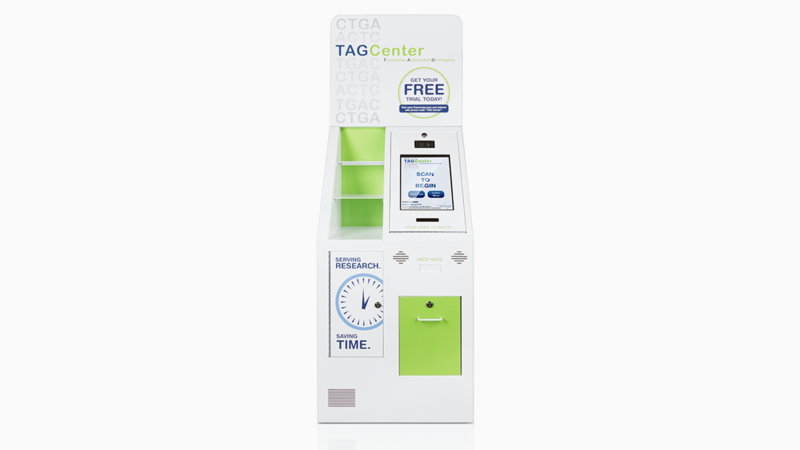 So they offer a creative solution to a tedious process – automated genotyping for lab animals. 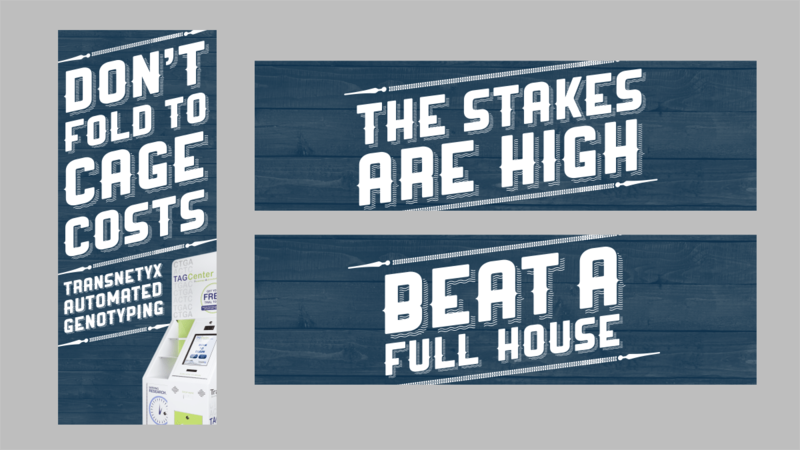 inferno developed a clean, professional look for the brand, along with humorous and attention-grabbing messaging to represent the company’s creativity. 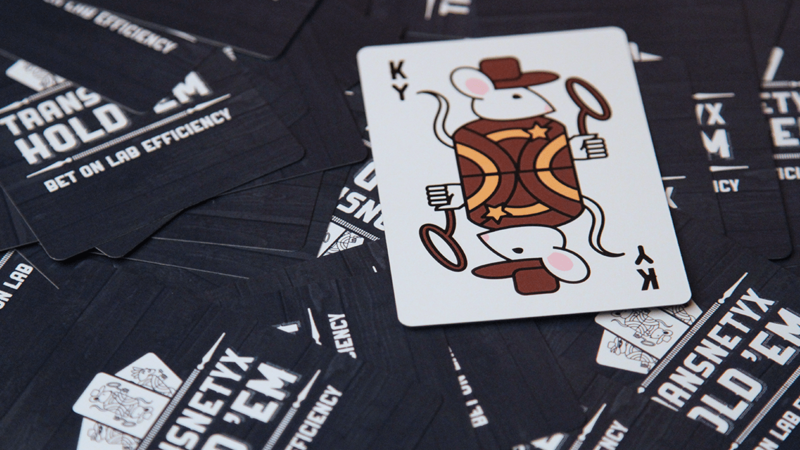 The result is a brand that fits well in the atmosphere of genetic research while communicating the fun, innovative nature of the minds at Transnetyx. Transnetyx wanted to stand out at the AALAS trade show in San Antonio, TX. 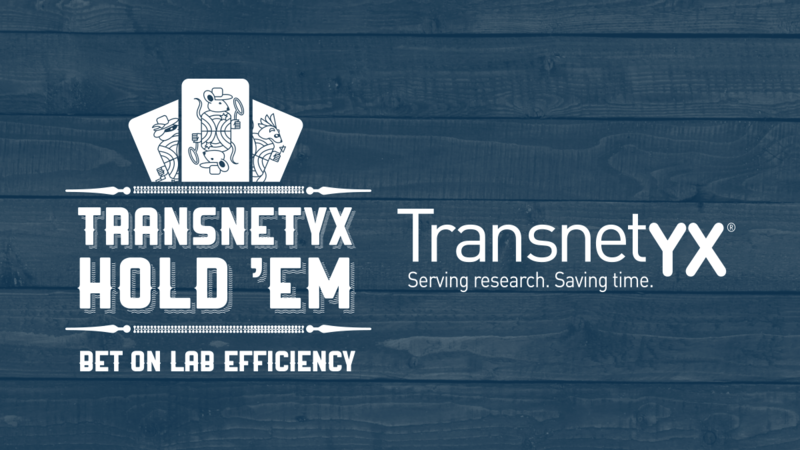 Our team wanted to provide a look and messaging that would feel like the Lone Star State while highlighting the unique genotyping service of Transnetyx. 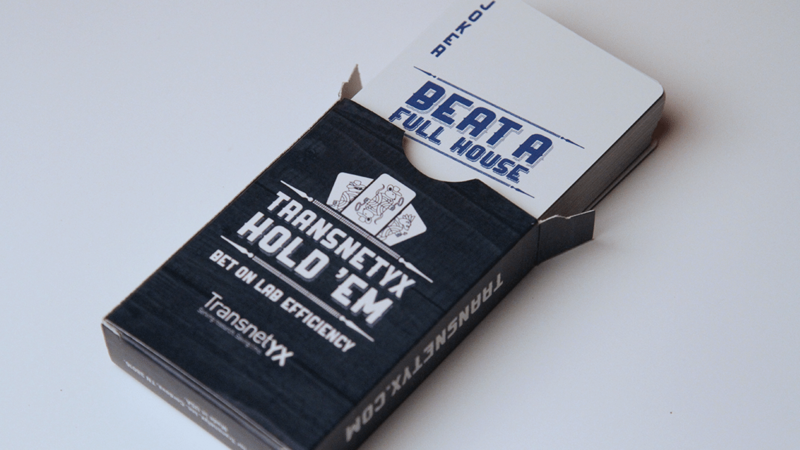 This campaign included a trade show display, signage, and promotional playing cards, based around a “Transnetyx Hold ‘Em” theme. 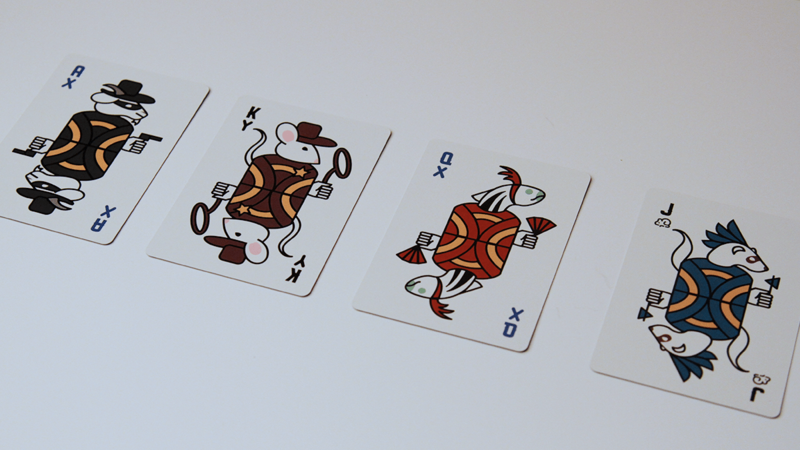 And of course, no poker theme is complete without an actual game – booth visitors were able to sit down and play a few hands for the chance to win prizes. 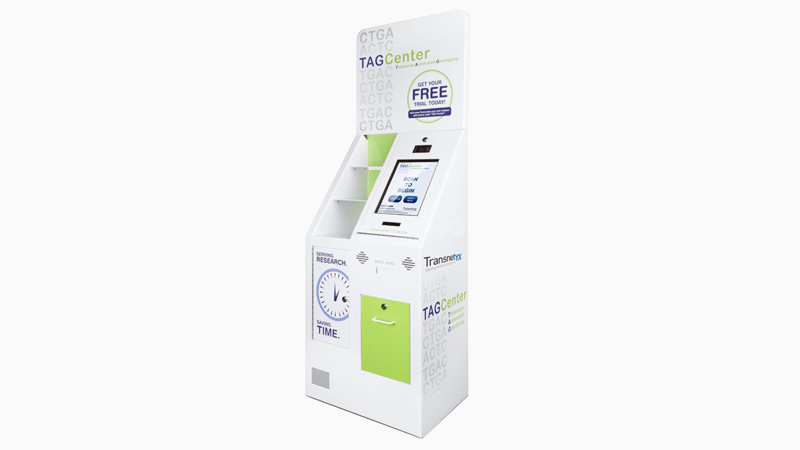 To make genotyping convenient for researchers, Transnetyx offers the TAGCenter. These units stay in labs and have regularly scheduled pickups, so researchers can easily submit samples to Transnetyx. And when you’re developing something that’s going to live with your customers, you want it to be as attractive and inviting as possible. 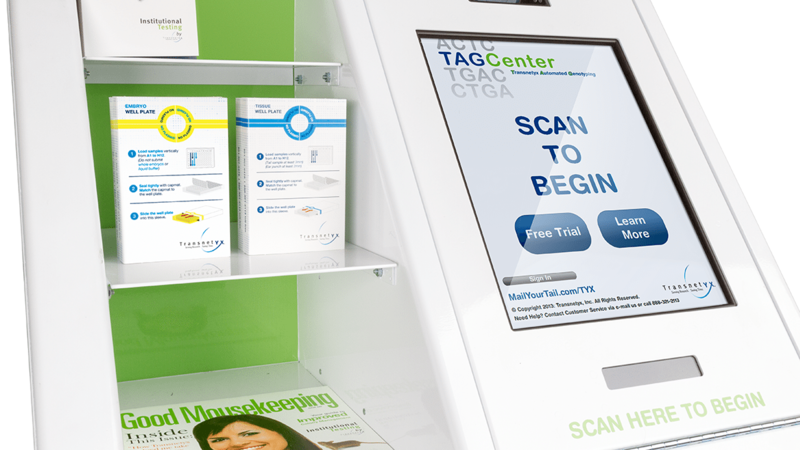 That’s why we created a clean, modern look for the TAGCenter that offers convenience without adding an eyesore to the lab. 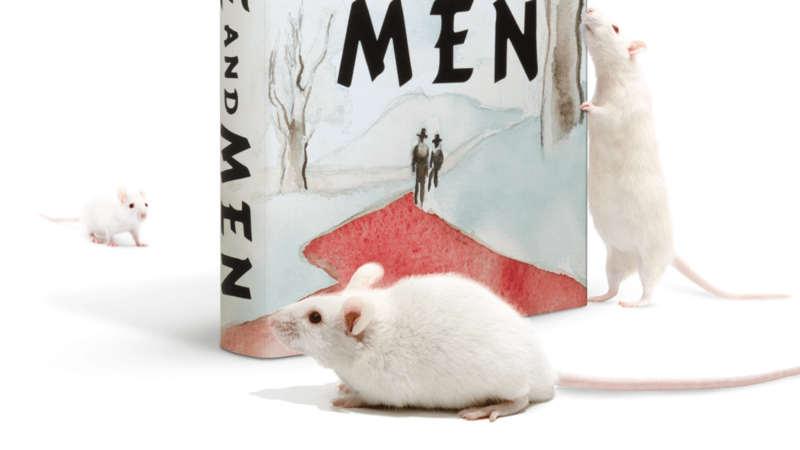 There’s a lot of creativity and brain power that goes into running a lab. 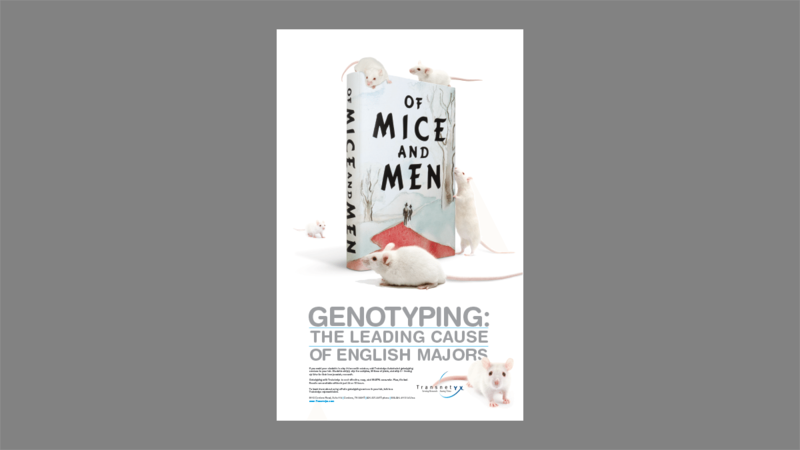 Unfortunately, advertising in the research industry is often dull and straightforward. 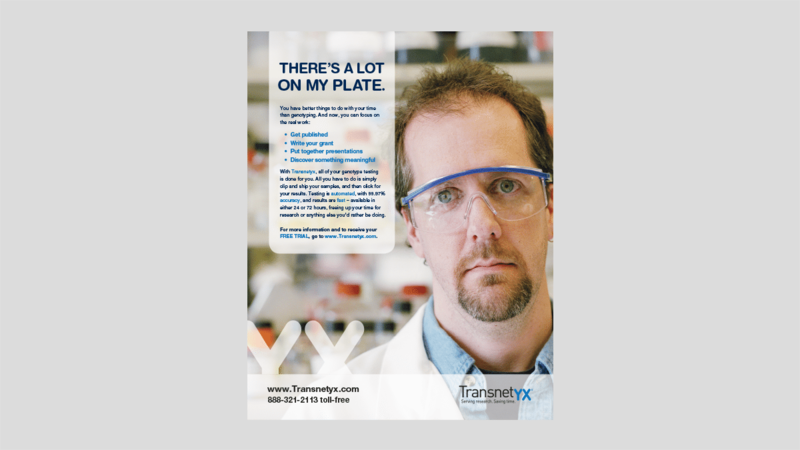 We wanted Transnetyx to break that mold – so in our work for them, we created pieces that are fun and engaging while staying grounded in a scientific feel.